Furniture and chair covers hire is an excellent way to bring life to boring or old chairs and you can hire them from us to go with chairs you hire from us or directly to cover your own chairs. 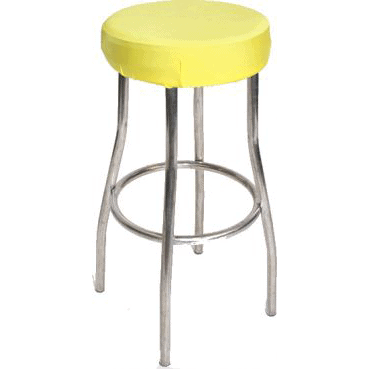 They add colour and style to old furniture or standard hire chairs, stools and bar tables. Chair covers, stool covers, chair sashes and bar socks also help you style chairs, stools and bar tables in a theme to help enhance your wedding or event. We hire chair covers in a variety of colour combinations to add the finishing touches to your wedding, charity dinner and corporate event. You can hire chair covers in cotton, lycra and satin, and you can accessorise them with sashes of different colours and style. We can arrange fitting or you can fit the covers yourself. 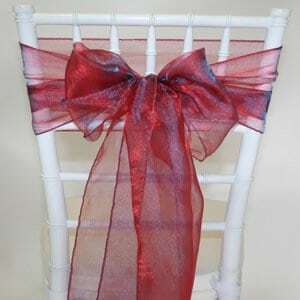 All chair covers come with a complimentary satin or organza sash. 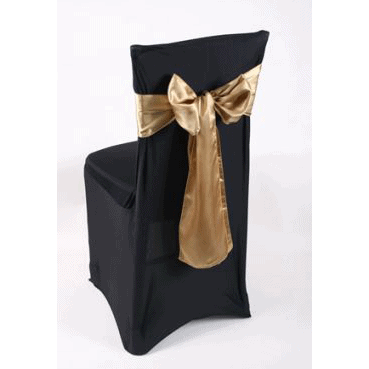 The sashes are a universal size and fit most banquet chairs and folding chairs. You can choose your type of chairs when making your order. Sashes are available in around 20 colours. Completely transform your banquet chair or folding chair into an elegant seat. It takes less than 30 seconds to put a sash on each chair. Please contact us if there is a colour you want to hire that is not shown. We are regularly updating and adding to our collection, so if you have something in mind, we would be happy to satisfy you and work with you to achieve your vision. Organising an event can be overwhelming for many people. It comes with so many responsibilities in designing and decorating and at a high cost. However, we are here to make it easy for you. 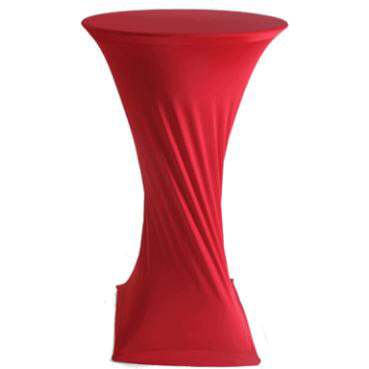 Our lycra chair covers hire service offers a wide range of chair covers. With our budget-friendly prices, we ensure that our clients gain satisfaction from our services. We offer our services to weddings, corporate events, graduation parties, birthday parties and funerals. Lycra chair covers are made from stretch fabric and are designed to fit an armless chair with four legs which are commonly used in events. The covers create a contemporary and sleek look in an event. Our chair covers come in different colours and qualities. Our lycra chair covers bring a stylish and modern look. The cover will transform your event with the cover’s elegance. The white covers are seamlessly stitched with whole fabric with fold-over hem and square corners. 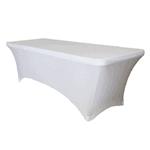 We recommend our white lycra covers for weddings and birthday parties. With a variety of colours, we can help you select the best colours for the look, style and feel you are trying to create for your wedding, charity dinner and corporate event. 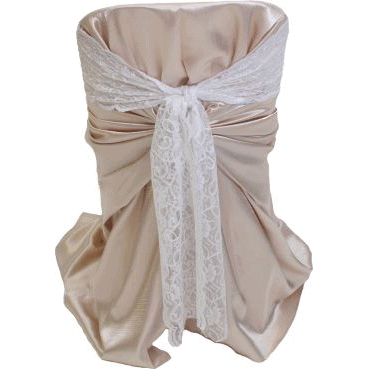 All chair covers come with a complimentary satin or organza sash. Our do-it-yourself chair cover price is for you to pick up at our Peakhurst or Matraville warehouse. If you are considering hiring any of these furniture covers for your wedding or event, please keep in mind our available dates and contact us today to avoid disappointment. 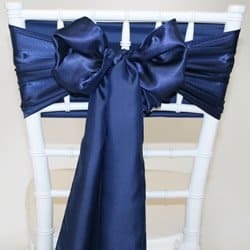 To hire, simply choose your desired chair sashes, stool covers, bar socks or chair covers, click on the add to quote button, fill in your details and hit SEND. We’ll get back to you ASAP. Or if you like, call us on 02 9533 4429 for an obligation free quote. Our Customer Service Guarantee We will provide easy to understand obligation free quotes and provide you with the information you need to make the best decisions on our products and services.